9&10 News (WWTV and WWUP-TV, Cadillac/Sault Ste. Marie) have announced a new creative division named Mane Content, a full service video production group. Mane Content provides video content for various platforms from television commercials to social media content to sales videos. They are a group of creative professionals with all the gear and the passion to create the perfect video for brands. The award winning creative team consists of copywriters, videographers, directors, editors and a licensed drone pilot. Mane Content works with clients to keep the creative process simple while making sure that the video receives results. Tessia Klix will head up the new division as Creative Director and Hans Schoonover has expanded his role into Project Manager. Mane Content was formally known as 9&10 News Creative Services. Growth in the industry caused the team to expand into its own division. “The creative industry has been growing for years. We have found that people want to be entertained and they want a reason to connect, visit, subscribe or follow a business. We offer that and more. 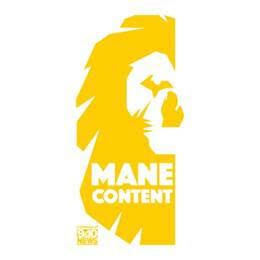 The Mane Content team is a group of extremely talented creative professionals. Everyone has such a passion for creating great video, it is truly inspiring to watch a project come to life with the expertise of this amazing team,” says Tessia Klix, Mane Content Creative Director.